This super soft toilet tissue is made from 100% recycled paper collected within the UK. Packaging is made from LDPE plastic and can be recycled with plastic shopping bags. 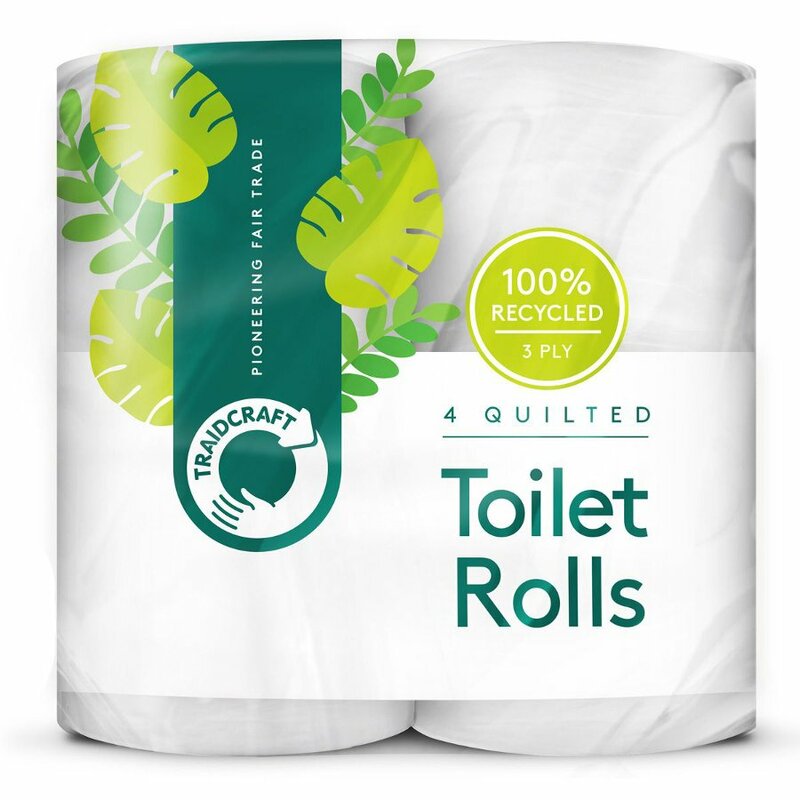 The Traidcraft Recycled Toilet Roll - Pack of 4 product ethics are indicated below. To learn more about these product ethics and to see related products, follow the links below. I really like this lu paper, however I may stop buying them because of the wrapper. Why can't they use a compostable wrap? we know its possible! I won't say what we use it for...it's fairly obvious. It's good quality and we WOULD recommend it to anyone! 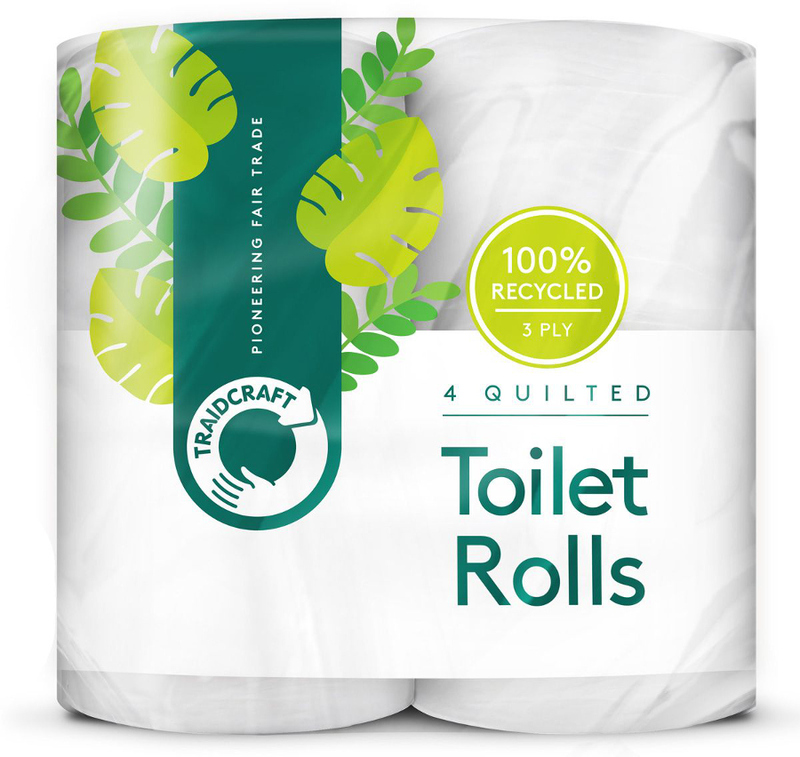 There are currently no questions to display about Traidcraft Recycled Toilet Roll - Pack of 4.